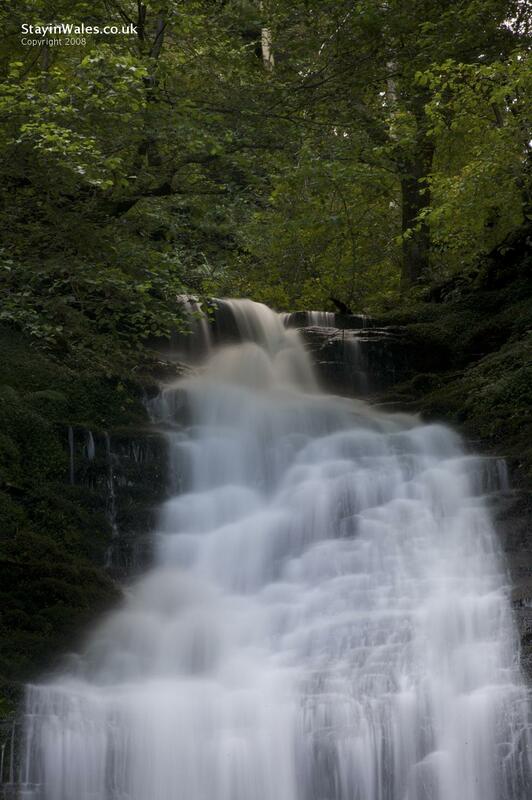 In one of the valleys leading into the southern side of Radnorshire's enigmatic Radnor Forest, and off up a stream, Water Break Its Neck is a stunning waterfall. There are a couple of longer circular trails around Warren Woods and up the valley sides. Easy access off the A44 about 1.5 miles west of New Radnor, and usually plenty of (free) parking space, either close by the road, or further on closer to the waterfall.